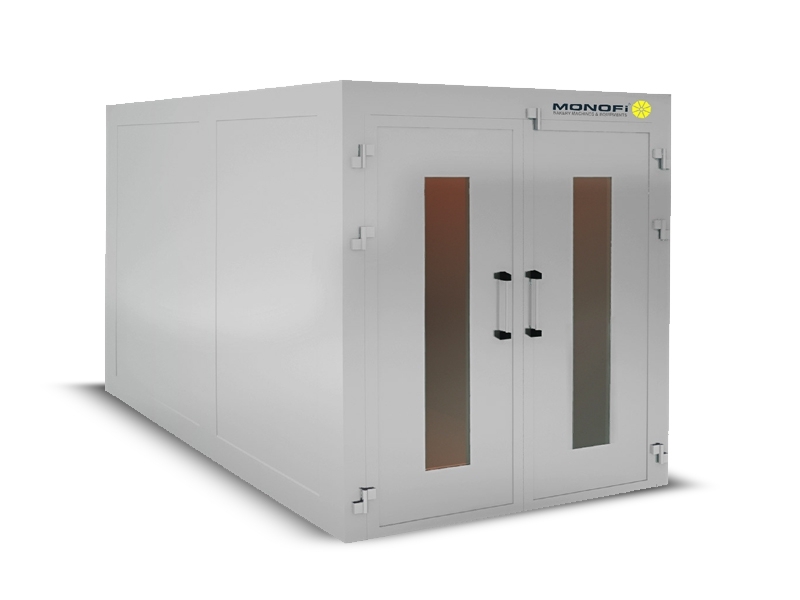 Fermentation rooms protect the humidity ant temparaure which already exists in the room due to using climator unit and moustrizing equipment. İt provides the fermantatıon of the shaped dough. The room is made of polyurethane as per the requested dimesion. There are safety handles on the doors inside of the room it is manufactured 304 qualıty of staınless steel in each side. It is sımple to install it thanks to the locking panel system.